BLDGBLOG here proposes an ecumenical cathedral for the holiday season, made entirely of magmatic architecture. The cathedral would consist of nothing but igneous rock, extruded directly from the earth and diverted through a complicated system of pipework and trenches. 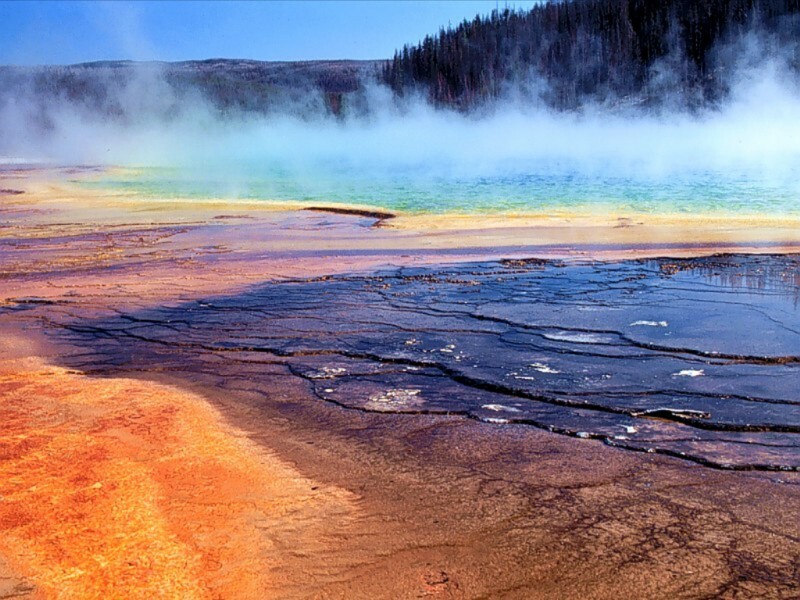 These would act as a plumbing system, shaping eruptive flows, giving the lava architectural form as it cools. The lava would therefore be frozen in place on-site, taking the final form of the building; it would steam for a bit, perhaps, maybe hiss if it’s raining – but then it’s architecture. 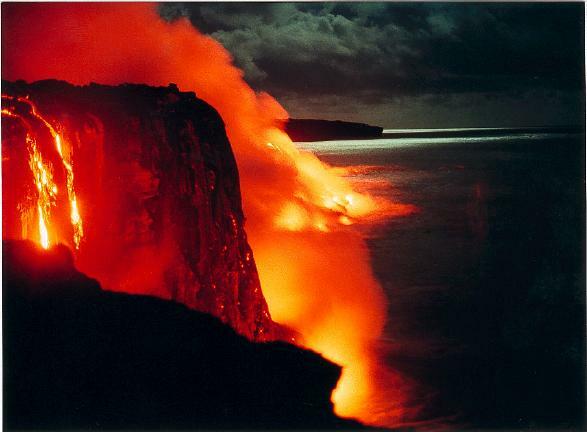 A kind of lava-fountain; a domestication of the earth’s magmatic dynamism. 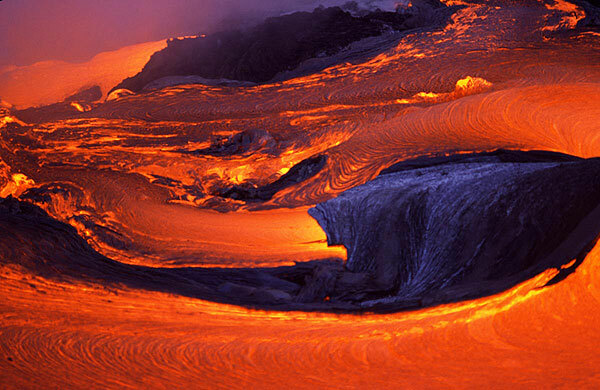 The red eddies of liquid glass from an ongoing eruption – Hawaii, or Iceland – would be shaped immediately into the buttressed vaults, nave, tracery, and cloisters of this, the world’s largest cathedral, larger than most towns and continually growing. A crystalline crypt, glassine, geothermal. New wings and side-chapels appear with every eruption. 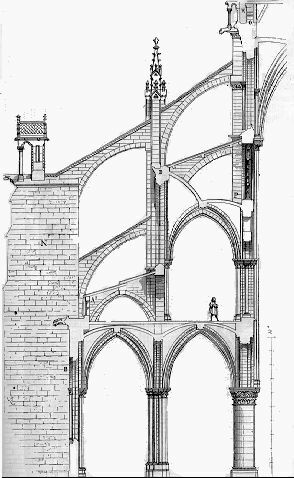 [Image: The flying buttresses of Notre-Dame, from a Boston College Gothic architecture page]. The resulting volcanic glass could even be shaped into thin sheets of polished obsidian, fed through a filigree of pipework till you’ve got stained rosate windows, readymade. Perhaps you could color the flows using a salt of various metals. 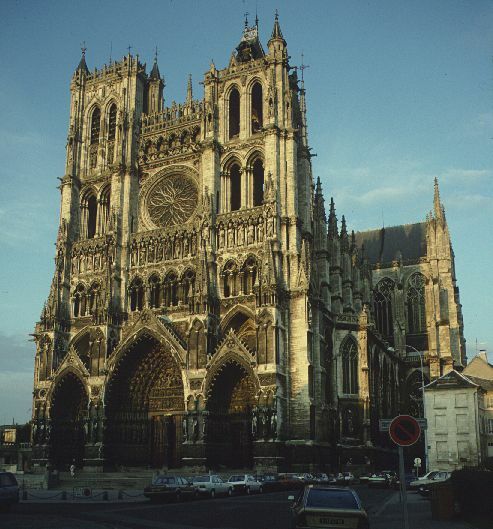 [Image: The cathedral at Amiens, from Boston College’s High Gothic architecture page]. – this just more so. The earth, printing itself upward into arches and barrel vaults; new Gothic mountains, shaped by the creative process they celebrate. [Images: Arnaud Friche, Senlis Cathedral, Gothic Vault, Senlis, Oise, France; The Great Organ, Saint-Eustache, Paris; and the Crypt of the Plaimpied Church, Cher, France (many more beautiful photos at this site; spotted via things magazine)]. Alternatively, of course, you would not need a volcano. You’d simply build an earth-melting platform anywhere in the world, and it would melt its way down through the earth’s crust. 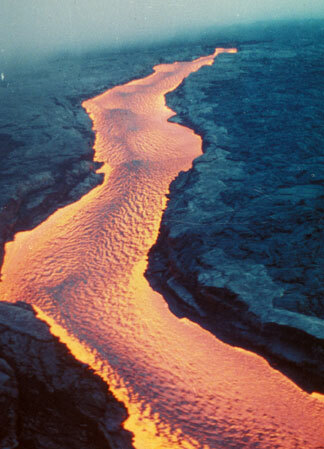 As a boat passing through water creates a wake, the platform’s passage through the earth would create cathedrals, lava curling up in buttresses and freezing into place. Frozen wakes of igneous rock in the form of sacred architecture. Or a volcanic pasta machine: extruding churches from terrestrial dough. 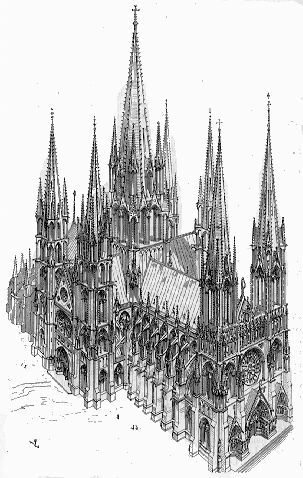 [Image: Viollet-le-Duc’s ideal Gothic cathedral, prior to the era of magmatic architecture – which hereby begins]. (And for a bit more on volcanic landscapes, see Mount St. Helens of Glass). WOW!! These are tooo amazing!! Cathedrals are a good start, given that they are meant to be enduring, imposing structures, of the earth but also gravity-defying. Containers for fleeting and immaterial activities. So how about we extend the concept to include planetoids, encapsulated seeds that will travel through the cosmos, rather like gelatin capsules as spores, but with the architectural branding of their home planet: The Taj Mahal sailing through interplanetary space. Tourists like Arthur Dent or Kilgore Trout might come across the Chartres Cathedral somewhere between Andromeda and Pegasus. In fact, it may become customary to send replicas of architectural marvels across the galaxy, partly as an alternative to burying them here on Earth. Deep Space is an ideal museum, plus, chance encounters between an encapsulated marvel and an oxygenated planet are one way that terrestrial species extend their longevity. Start here. Or small planetoids, of course. A new moon! Blasted into orbit. We could change the rate of the earth’s rotation, or insert a fifth season, somewhere between winter and spring… The 26-hour day. Yes, of course. Forget about bio-engineering and nanotechnology. The future is about geo-engineering on a near-planetary scale, where molten rock is channeled through sophisticated shaping and sandwiching machines. Raw magma will be converted to an endless ribbon of highway, gedoesies, stone sarcophagi, pyramids, multiple-arch bridges. Worm-casings on a much larger scale. A continuous tube of stone will be sent moonward, then detached from this end, swung round to the dark side, and extended some more from lunar rock. The resulting tube will be wound into a spherical coil, sealed, the inner sphere populated with plants, people and some sort of energy conversion/supply then sent off to find more planetary material to gobble. Meanwhile, the ribbon of highway will allow people to drive between planets, where the perennial question of ‘are we there yet?’ will take on a whole new meaning.